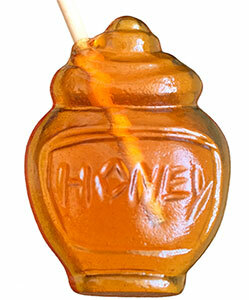 These corn syrup-free honey pot beverage sweeteners are perfect for your hot drinks. They are great for stations at wedding receptions, as party favors, and special corporate dinner events. Gluten-free, dairy-free, soy-free. Made in a nut free facility. Made in Massachusetts.